I spent 4 years working for a WPP insight agency managing the video production and ultimately the design team, working closely with both quantitative and qualitative researchers, as well as brand consultants. In my time I have seen great insight that looks like dog crap, as well as average insight as packaged and “premiumised” as David Beckham’s dickie bow. But the one constant was that creative (be it video production or graphic/web/print design) was always part of the insight process. 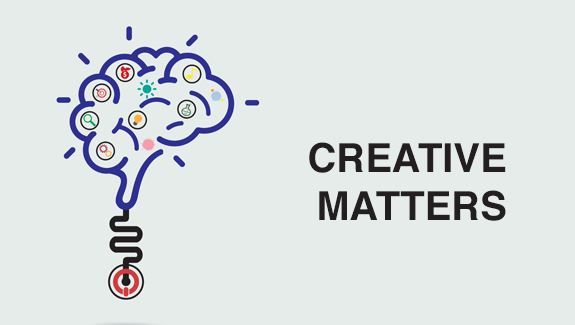 So why does creative matter in insight? I boil it down to the Four Cs: Culture, Commerciality, Communication, and Consumer-centricity. It’s no secret that the world we live in today is an increasingly visual and design-led world. The pervasiveness of creativity in its broadest sense has been fuelled by apps like Instagram, Flickr, Twitter and Imgur, where concepts such as framing, composition, lighting and colour filters are applied in the pursuit of “likes”, giving rise to a poignant adage: If your sh*t looks good, people will like it. And the majority of the world’s population has now become accustomed to broadcast-standard video transmitted to the palm of their hand in super HD. From consumers to brand directors, the average person knows what looks good. This trend has been reflected in the focal points of insight projects in recent years, with increasing focus on design elements; packaging, logos, websites, messaging, products, stores etc. Design considerations play a crucial role in how Insight agencies help brands and clients improve their products – therefore it is crucial that insight agencies reflect this thinking back on themselves. Good design shows professionalism as well as creativity; a poorly laid out or designed debrief deck will give the impression of lack-lustre or outdated research. In addition, it indicates a lack of awareness for our design led culture – a sin for those who should be the most attuned to consumer trends. In this day and age, where so many creative processes are cost-efficient, templatised or automated, poor attention to creative execution is inexcusable and detrimental. This is what it all boils down to, no matter where you are in the marketing process. Clarity in communication enables far-reaching impact. Think of the stories you can tell through good data visualisation; how quickly the relationship of disparate elements in a segmentation can be grasped through simple, elegant design, or how easily the life of a target customer can be brought to life through imagery, colour and typography. If you want your work to have real impact you need to ensure your work is understood throughout your client’s business, not just their internal research team. Good creative will allow you to de-clutter information, pull out the most important elements, and tell a succinct story – so even those who are not data literate can easily understand the message. Working with a designer can also be an important part of the analysis process for a researcher. A good designer will challenge a researcher on their work, ensuring the story is told in the most efficient and simple way – a good testing point for you and your ideas. Along with design work, video is also of huge value to consumer insight teams. On a practical level, it’s easily sharable across the client’s business and often across different languages too. Unlike a presentation, which often needs an accompanying presenter, a video can explain a point quickly succinctly and easily. And despite the pervasiveness of video in our every-day lives, it still carries a wow-factor, because a good video can play on multiple senses simultaneously, whilst also delivering a succinct message. Ultimately, all stages of the marketing process (from insight, to comms, to execution) work best when they’re built on a balance of being rational and emotional. If you can deliver clear, valuable and fresh insight to your client, but in a way that surprises and delights them then you can drive an exponentially larger and deeper impact. The building blocks of any piece of consumer insight are the people, their cultural context and the behaviours they manifest in relation to a product, brand or a purchasing process. This is where video in insight comes into its own – through ethnography or user generated films – this is how you get up close and personal with consumers. Videos allow clients to see alternative sides to their consumers, a raw, authentic perspective outside of the ‘false’ environment of a focus group facility. But, this is not a revelation; the industry has used ethnography films for nearly a decade now. What is revelatory though, is the quality of video footage that can be produced by consumers on a smartphone at home, and the relative ease and cost-effectiveness of building a video hosting platform that will enable you to store consumer generated content, as well as meta-tag and filter through your footage. The ability to think creatively therefore goes beyond just design and aesthetic considerations – it’s also about understanding how technology is re-shaping the landscape of data collection and aggregation, and then thinking creatively about how to make the most of this. David McCandless told us that information is beautiful, so if research is the business of selling information (in this case insight) then creative is an integral partner in increasing the value of the product that you sell. Creative can literally be the difference between you charging X and charging X+Y. It’s also worth considering the value that creatively impactful insight has on perceptions of your client within their own business. Insights get shared internally, and creative impact is memorable – what could the implications be for you in terms of return business? Speaking from experience, a bit of creative expression goes a long way toward building a new relationship. Finally, it’s worth pointing out that those insight agencies that are most successful are the ones that have embraced creativity as a value, have hired polymaths to push the boundaries, and are re-positioning the benchmark of creative impact in insight… Are you one of them?